New offering delivers gamers the ability to play more games on the platform and machine of their choice. 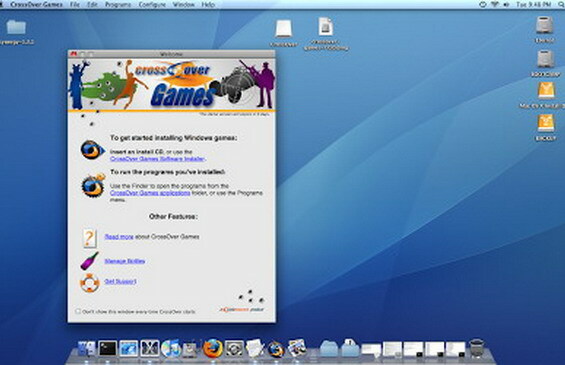 CodeWeavers, Inc., a leading developer of software products that turn Mac OS X and Linux into Windows-compatible operating systems, announced the release of CrossOver Games for both Mac and Linux, available immediately. Crossover Games delivers gamers a low-cost tool allowing them to play popular windows games including World of Warcraft, Guild Wars, and many Steam games including Team Fortress 2, Counterstrike Source, Civilization 4, Peggle, and many others on the platform and machine of their choice. "One of the differences between CrossOver Games and our current CrossOver products is that it’s going to be a little more ‘bleeding edge’," said Jeremy White, President and CEO of CodeWeavers. "The Wine development community, including CodeWeavers, is cranking out a lot of important improvements to game support. We want to get those improvements into the hands of gamers now. CrossOver Games, we think, will fit in with the edgier technology needs of gamers." CrossOver Games features many recent game advancements developed in the open-source community. "This is our way of promoting the incredible work of the open-source community," said White. "It also marks a positional change in our product line. There’s a perception that our products primarily make Windows office productivity applications run under our CrossOver products. The truth is, CrossOver also runs many popular games on Macs and Linux PCs as well." CrossOver Games is available for purchase directly from CodeWeavers and its authorized resellers. It is a download-only product. The cost for the product is $39.95 USD, which includes 12 months of free product support and software updates.